Have you wanted to give your stamps a scene and wished there was something ready-made? Well wish no more! 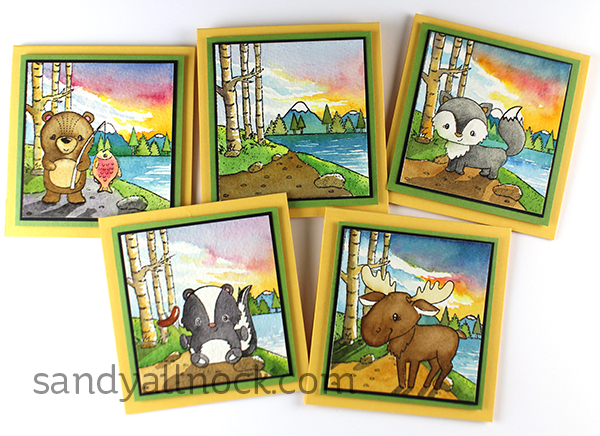 I love this little outdoors scene from Darcies – it goes really well with LOTS of stamps that are out there, and I’ve included some of the ones they have out also this season. But you could put all kinds of other stamps in here and let them all go on camping trips! Watch the video below or click HERE to see it in HD on YouTube. Aren’t these fun images to play with? Gotta love the little moose…I think he’s my favorite out of the new critters this season. Colors throughout are using my dot card palette selection, but with tubes squeezed out into a palette. Dot Chart is listed in the supplies if you want to try out my colors. 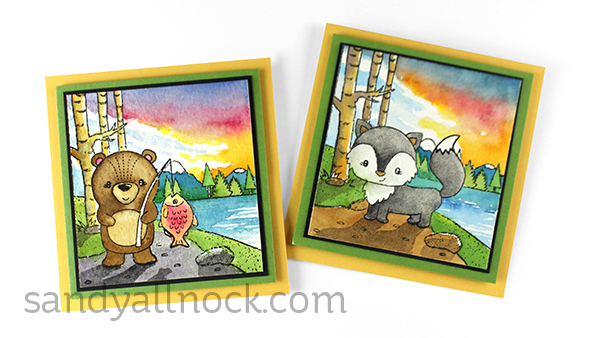 The little bear goes fishing – and there are fun sentiments for each of the animals in their stamp sets. AND camping gear too! Note that skies look a little different in each one – it’s about impossible to match them exactly since watercolor does what watercolor does! Oh wow! Such cute cards!!! I know it isn’t LOL, but by looking at all your great tutorials someday I will manage to do something like these awsome pieces you made! Thank you and have a nice weekend. 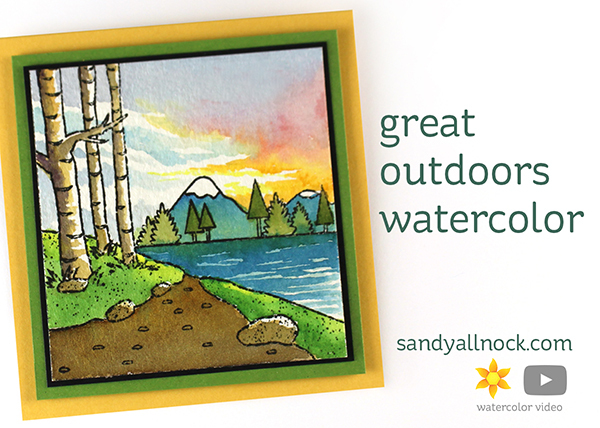 Great sunrise – and a fun tutorial on watercoloring in general. 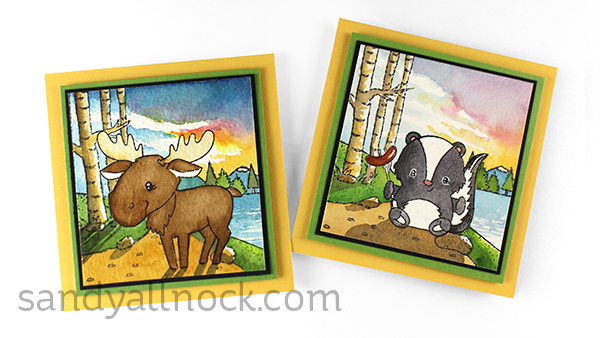 I’ve learned to enjoy the Darcie’s animals – they seem to be the perfect size for any kind of coloring. I’m thinking this scene would work well as a winter scene too – and it’s time to get started on Christmas cards… already!